Jimmy Kimmel didn't pull any punches when it came to the Senate's new health care bill and U.S. Sen. Bill Cassidy, saying that Cassidy lied "right to my face." "A few months ago after my son had open heart surgery, which was something I spoke about on the air, a politician, a senator named Bill Cassidy from Louisiana was on my show and he wasn't very honest," Kimmel said opening Tuesday night's show. Kimmel then explained how Cassidy came up with what the senator called the "Jimmy Kimmel Test," which according to the host was a test that said that "No family should be denied medical care, emergency or otherwise because they can't afford it." "He agreed to that," Kimmel said. "He said he would only support a healthcare bill that made sure a child like mine would get the health coverage he needs, no matter how much money his parents make." Shortly after Cassidy's May 2017 appearance on Kimmel's show, Cassidy spoke to CNN about a separate healthcare bill he had just introduced, and had co-sponsored with U.S. Sen. Susan Collins. Unlike the Graham-Cassidy bill, that bill would have avoided lifetime coverage limits, and extended protection to those with preexisting conditions. In Tuesday's show, Kimmel explained that a new bill proposed last week by Cassidy and U.S. Sen. Lindsey Graham "actually does pass the Jimmy Kimmel Test" in that with this bill "your child with a pre-existing condition will get the care he needs if, and only if, his father is Jimmy Kimmel." "Otherwise, you might be screwed," he said. Kimmel continued thrashing Cassidy, saying that the senator not only failed the Jimmy Kimmel test, but that "he failed the Bill Cassidy test." Cassidy, in an appearance Wednesday on CNN's "New Day," said of Kimmel: "I'm sorry he does not understand." He insisted that the bill provides broader health care coverage than now exists. "There are more people who will be covered under this bill than under the status quo," Cassidy said. "Everybody fears change. Even if it's worse to better, they don't want change." During his seven-minute monologue, Kimmel also made the point that those in congress trying to push the bill into reality are counting on the American people to be "overwhelmed with all the information." "Most of the Congresspeople who vote on this bill probably won't even read it. And they want us to do the same thing," he said. "They want us to treat it like an iTunes service agreement. 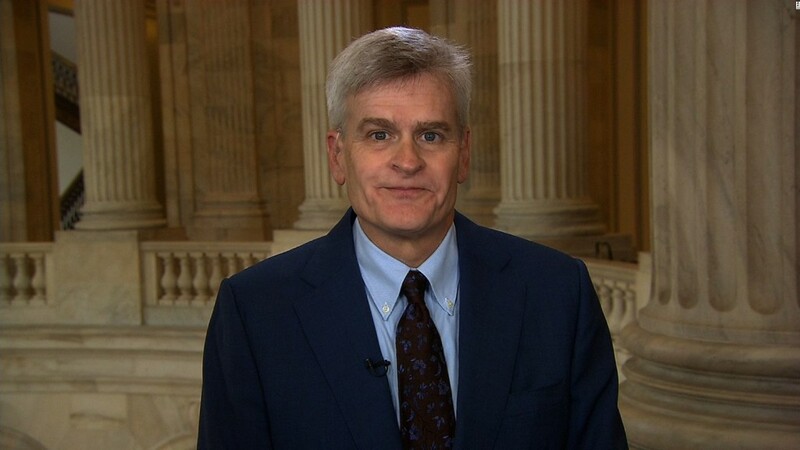 And this guy, Bill Cassidy, just lied right to my face." Kimmel then showed a clip of himself asking Cassidy in May if he believed that every American, regardless of income should get regular checkups and maternity care in the same way that people who have health insurance receive the care. Cassidy responded "yep" in the clip. "'Yep' is Washington for 'Nope,'" Kimmel said. Kimmel said he never imagined he would ever get wrapped up in an issue like health care. "This is not my area of expertise. My area of expertise is eating pizza," he said. "And that's really about it." Kimmel then ended his monologue telling Cassidy that there's a new Jimmy Kimmel test for him. "It's called a lie detector test," he said. "You're welcome to stop by the studio and take it anytime." In a statement, Cassidy did not directly address Kimmel's monologue, but reiterated his commitment to the latest proposed legislation. "We have a September 30th deadline on our promise," Cassidy said in a statement, referring to some Republicans' plan to repeal Obamacare. "Let's finish the job. We must because there is a mother and father whose child will have insurance because of Graham Cassidy Heller Johnson. There is someone whose pre-existing condition will be addressed because of GCHJ."